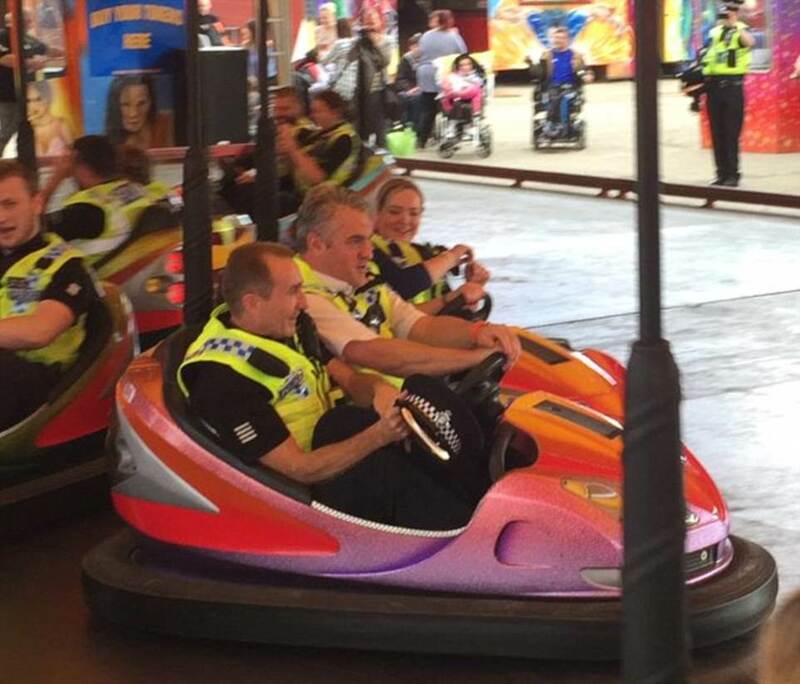 Police officers have been photographed enjoying dodgem car thrills at a fairground where they were on the beat. 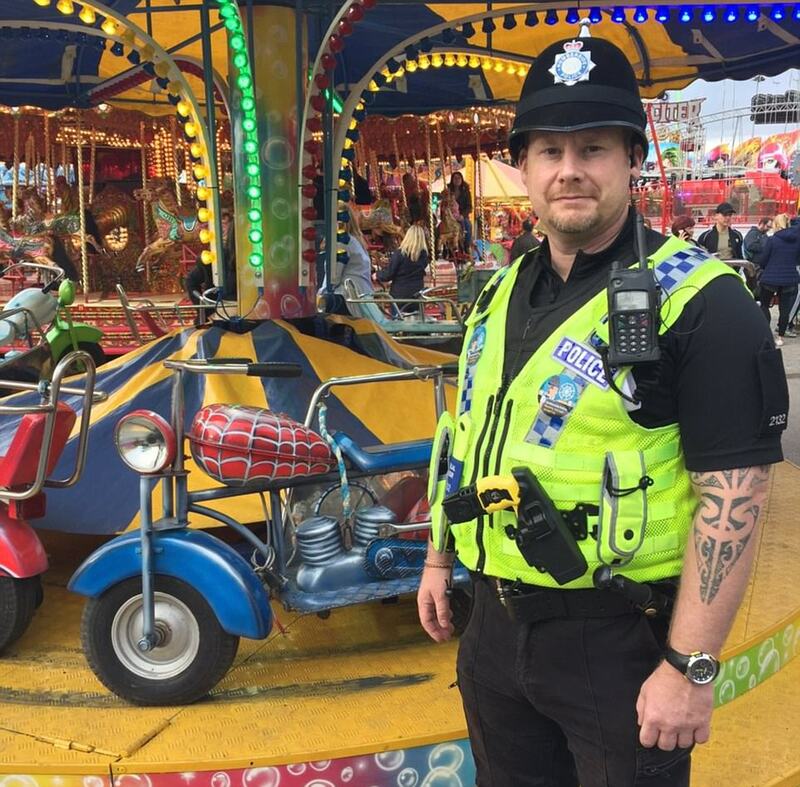 At least 18 officers from Humberside Police - whose employees have reportedly complained about under-resourcing in the past - were said to have ridden the cars at Hull Fair in full uniform. 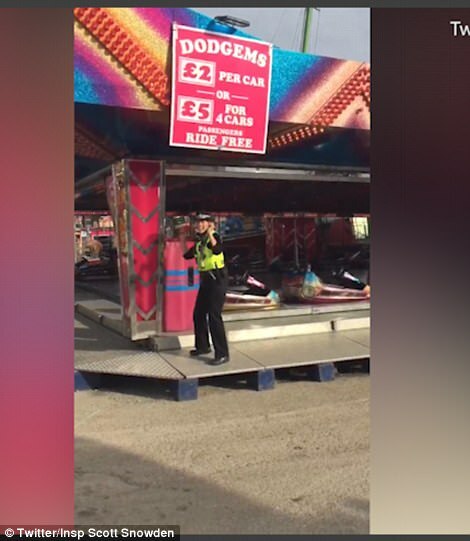 Inspector Scott Snowden tweeted pictures of many of the officers in the dodgems with smiles across their faces as they rammed into each other. 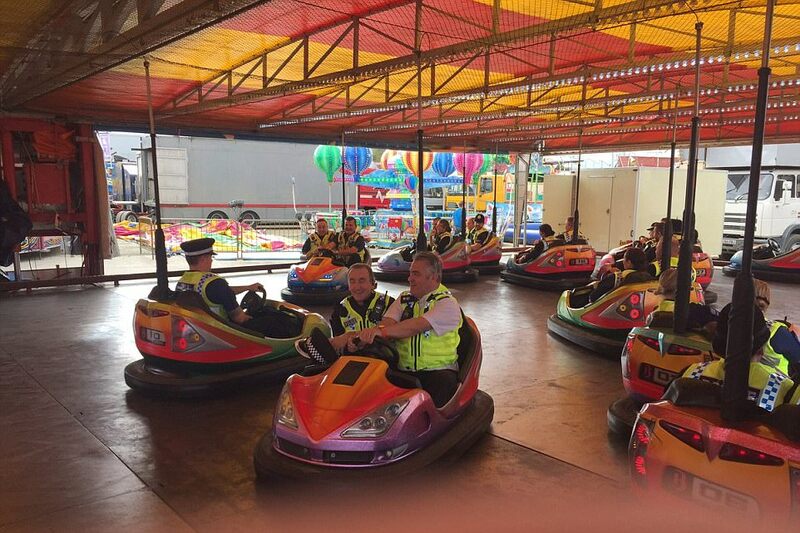 "Cops having a bit of well earned fun with people at the fair!" he wrote. 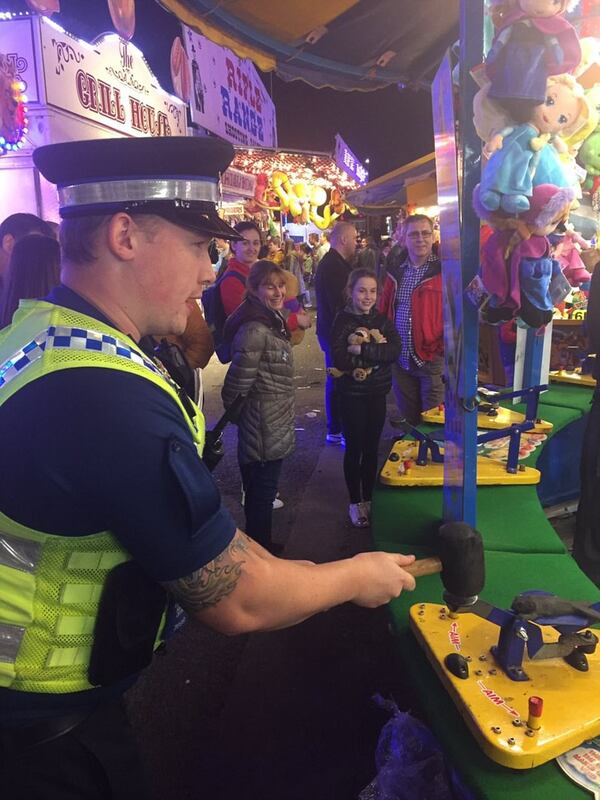 Inspector Snowden also confirmed £80,000- a-year Chief Superintendent Darren Downs was enjoying the fun. 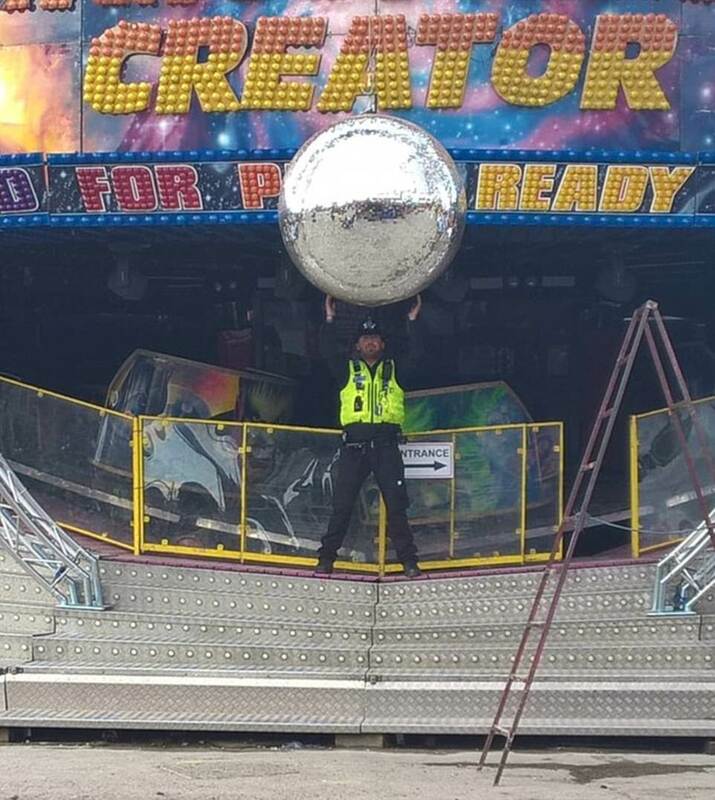 "Ch Supt Darren Downs at Hull Fair," he said. "He enjoyed that more than the others!" 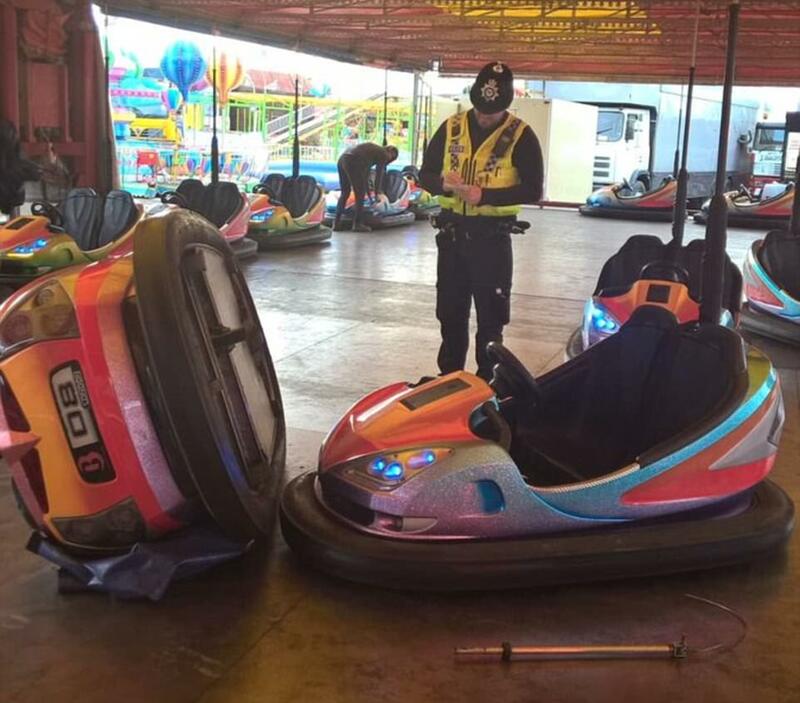 Alongside a picture of a dodgem rolled on to its die, he wrote: "Police attend a two vehicle accident and are appealing for witnesses." Ch Supt Downs tweeted the pic of himself, saying: "Apparently I look to (sic) competitive, but I might as well have put a target on my back. "Fantastic afternoon at the fair." 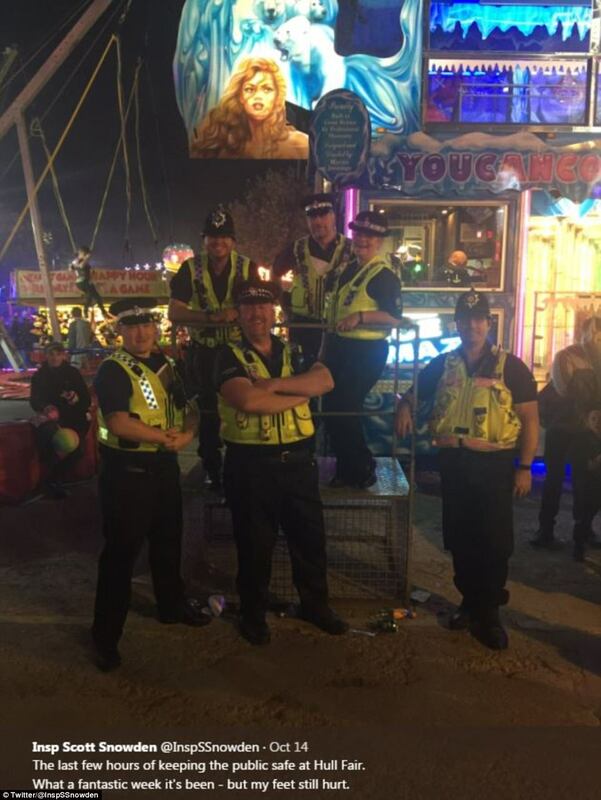 Forty officers were said to be on the beat each day of the fair but made only four arrests for minor drunkenness. 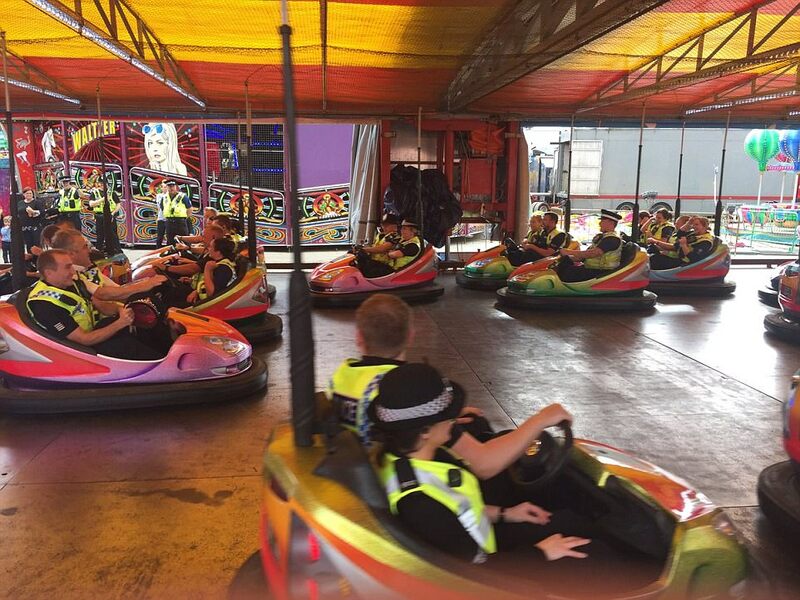 However, police reportedly defended the dodgem play time, insisting the "break to have some fun" only lasted five minutes. It was reported last night that the force took 47 minutes on average to respond to an emergency. And some Twitter users were said to have reacted negatively to the play time. 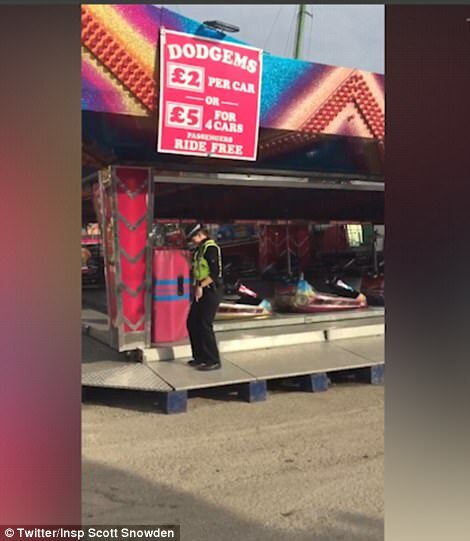 One of about 30 visitors - who were left dangling for more than seven hours the day before at the fair when a ride broke down -slammed the cops. Laura Blackett told The Sun : “It took hours before any police turned up.